An elegant example of harmonious integrity. Gold and amber in this work of a jeweler - as if one. A golden pendant unfolds like a flower bloom with thin hovering petals. 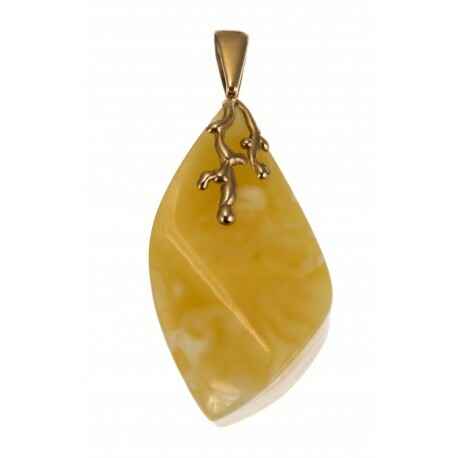 White and yellow color amber drop, hung on slender petals, becomes the accent of the pendant.